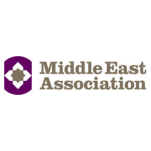 EAME was pleased to offer its continued support to the Middle East Association (MEA) by attending the recent luncheon with Karwan Jamal Tahir, the Kurdistan Regional Government’s (KRG) High Representative to the UK. 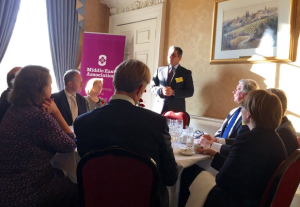 Mr Tahir delivered an informative speech detailing the current political and economic environment in KRG, outlining the potential for UK companies in KRG but also stressing that the business environment is both challenging and a long-term prospect. EAME has been active in Kurdistan and Iraq since 2010 and was delighted to hear Mr Tahir positive remarks regarding the economic future of KRG. Both Kurdistan and Iraq have huge potential for UK companies in a number of sectors including oil and gas, healthcare, tourism, agriculture and education and the UK is the current preferred partner for many KRG businesses.